I know they say you can't make friends with salad - but I feel like salad relationships are conditional. You see, whilst I'm definitely not going to be friends with a boring regular old salad, I'll definitely be friends with a salad loaded with toppings and delicious mix ins. Actually, let's scrap that. Friends don't eat friends because that's called cannibalism.... and if your friend happens to be a salad... well... er... um... good on you! This salad isn't my friend (luckily there are some humans on this planet who like me so I don't have to talk to produce! ), however, it is ridiculously delicious. When I first started making this salad, Jesse would give me the look every time I made it. And no, I'm not talking about the blue steel or a love-filled look. I'm talking about the oh no, here she goes again.... at what point do I need to check my wife into the nuthouse.... kinda look. 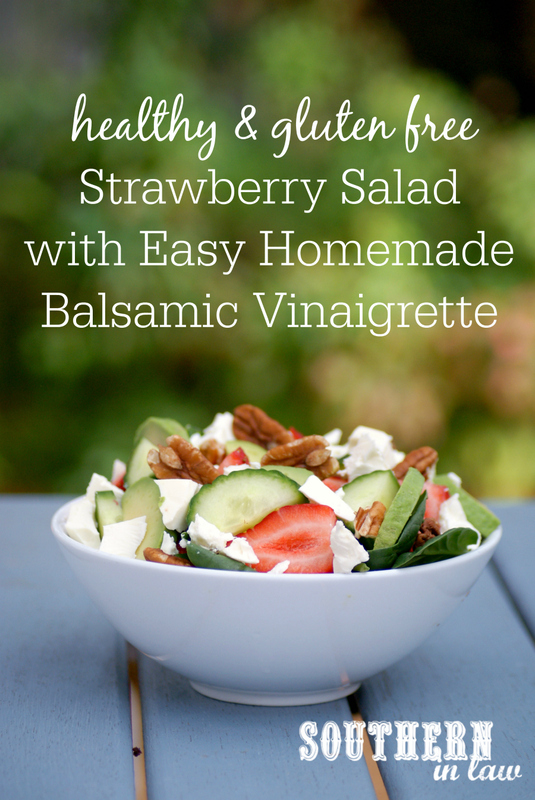 You see, strawberries may not be your usual salad topping - but trust me when I tell you they're delicious. It's the perfect mix of tastes and textures with sweet strawberries, creamy avocado, crunchy pecans (or walnuts), salty feta and a delicious easy balsamic vinaigrette recipe to mix through it all. 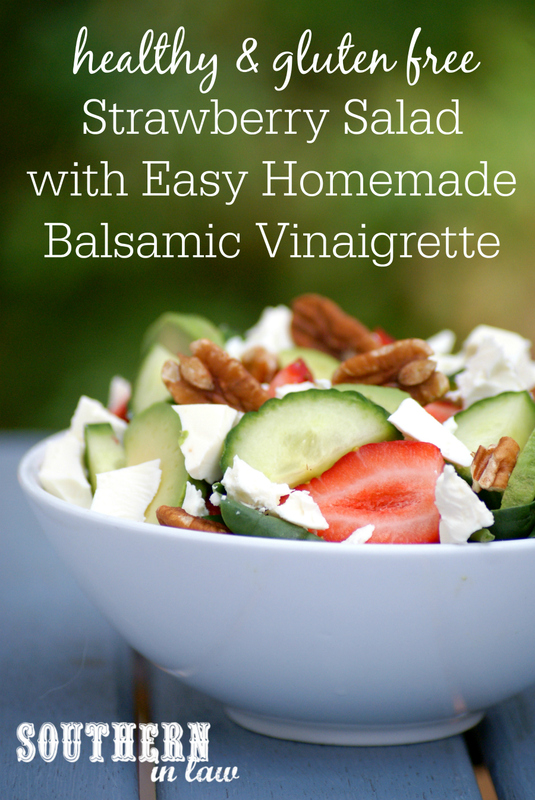 Whisk together all of your vinaigrette ingredients and set aside. 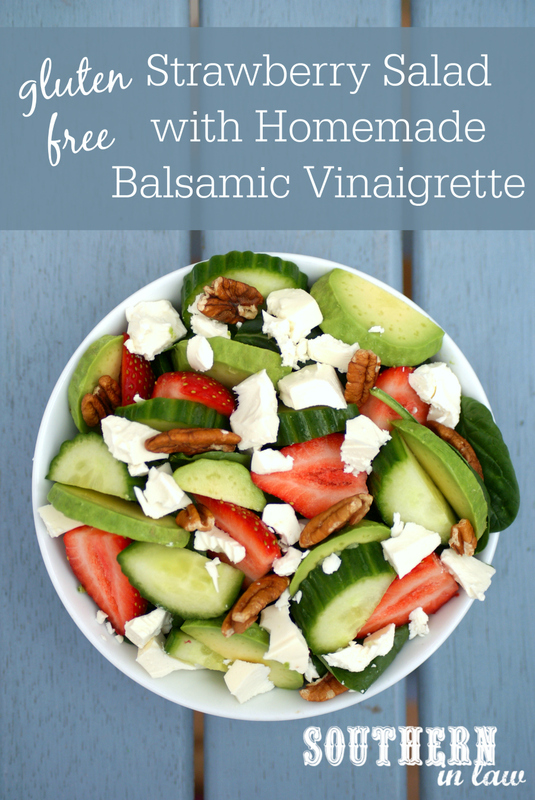 If only making a small portion, pour your vinaigrette into a jar or container and only use as much as needed. This will keep for 1-2 weeks in the fridge. If you want to make things really easy, add all the ingredients to your jar, seal the lid and shake it up rather than whisking! 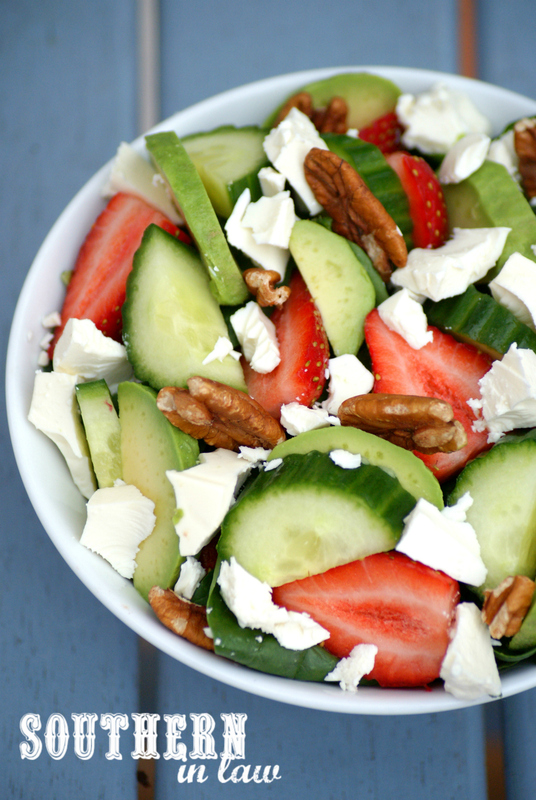 To assemble the salad, toss your spinach leaves, strawberries, cucumber and walnuts with the desired amount of dressing (use as much or as little as you like) and top your salad with avocado slices and feta crumbles. But tell me, are you a salad fan? And what's your favourite kind of salad dressing? I never used to like salad dressing, however, now if I feel like something different I always use either this balsamic vinaigrette or a caramelised balsamic. Yum!